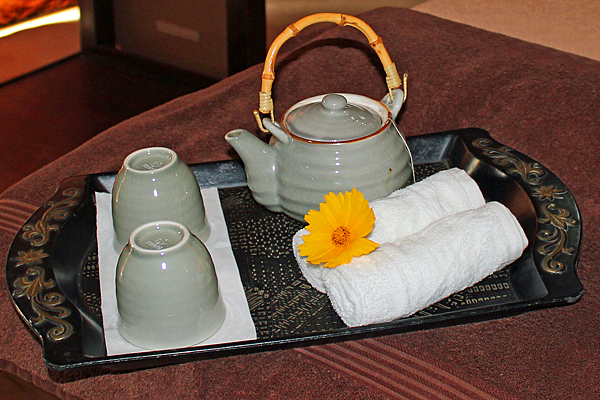 The Naatange Spa & Fitness Centre, at the Gambia Coral Beach Hotel & Spa, offers a wide range of treatments that will help you to relax and unwind: the perfect start to any holiday in The Gambia. Built on the hillside, with glorious views across the Atlantic Ocean, this is a wonderfully unique hotel. 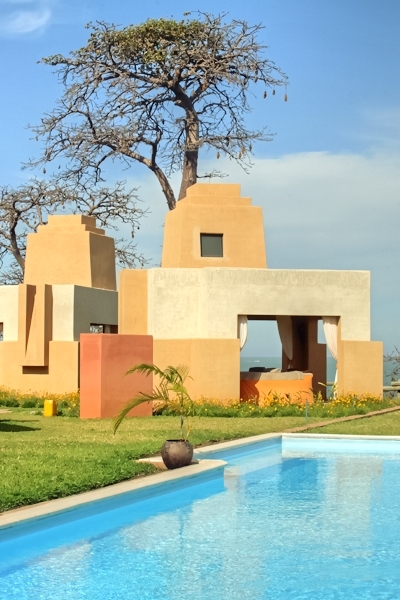 The architectural design is reminiscent of an African village but with a luxurious slant. 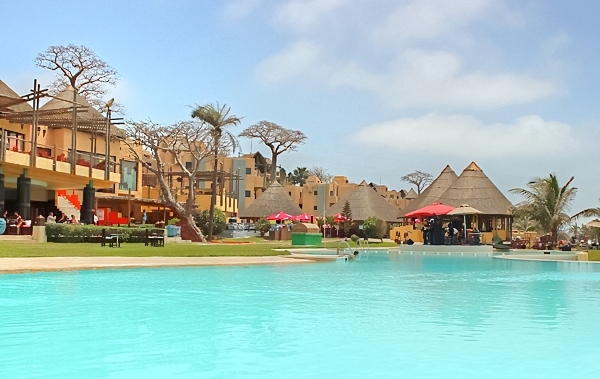 This popular beach-side hotel offers all-inclusive accommodation, however, bed and breakfast and half board are also available. The rooms are contemporary in design with various upgrades available including the luxurious presidential suite with its private pool. The spa itself is set on a cliff top, with its own swimming pool and more stunning views. If you are seeking peace and solitude the spa pool is a great place to escape for a quiet swim if the main, much larger, swimming pool area is busy. 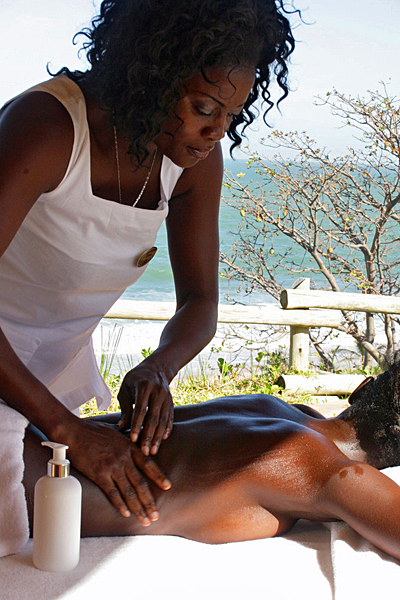 As well as indoor treatment rooms, there are also individual outdoor massage alcoves overlooking the ocean, so that the sea breeze can caress you – the ultimate in relaxation. A wide choice of treatments are available for women, men and couples, using a range of massage techniques and beauty treatments. 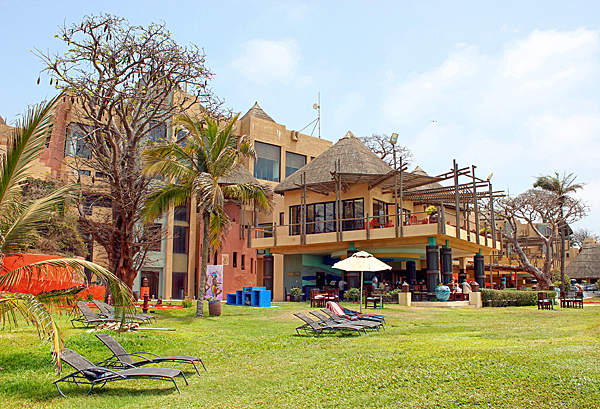 “When I arrived at Gambia Coral Beach Hotel I was immediately impressed by the design and ambiance – luxury with an African twist in a relaxing atmosphere. 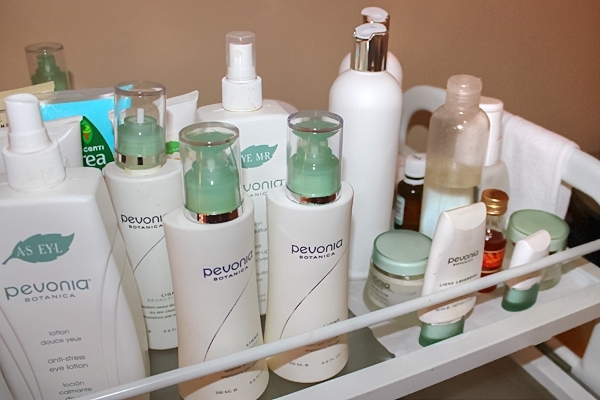 A short walk from the reception brought me to the spa where I was shown into some rather basic changing rooms, but that was the only mediocre aspect of my visit. 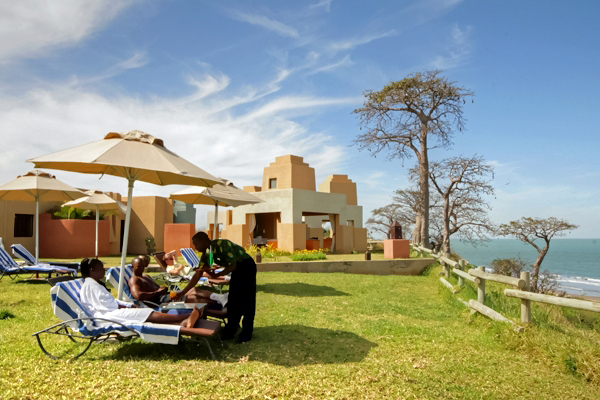 After a relaxing swim – I was the only ones using the cliff-top pool – it was time for my massage. Spa bar serving seasonal fresh fruit juices and freshly prepared sandwiches (open high season only, although drinks can be ordered anytime of year). Location: Brufut, a short drive from Banjul airport and the main tourist resorts areas including Senegambia, Kotu and Cape Point.